Next Thursday’s concert sees Cape Town-based conductor Brandon Philips on the podium with a programme of 19th Century German and French repertoire, opening with the Overture to Schumann’s only opera, Genoveva. The acclaimed young Russian cellist Alexander Buzlov takes the solo spot in Lalo’s Cello Concerto in D minor, and the evening ends a performance of the Brahms Symphony No 3. Conrad van Alphen takes the podium on 21 June for a programme that includes Mendelssohn’s enchanting Overture to A Midsummer Night’s Dream, Sibelius’s Violin Concerto (with another new-generation Russian star, Nikita Boriso-Glebsky, as soloist) and the programme rounds off with the Dvorák Symphony No. 5 in F Major, Op. 76. On the recital front, Music Revival in association with Friends of Music presents the distinguished American pianist Spencer Myer in KZN this month. Since winning the First Prize in the 2004 UNISA International Piano Competition, Myer has appeared in South Africa six times, in tours of recital and orchestral appearances. 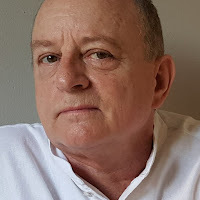 A native of Cleveland, Ohio, and a graduate of the Oberlin Conservatory and the Juilliard School, Mr. Myer has established a long and respected career as a recitalist, concerto soloist, lieder accompanist and chamber musician. Myer’s whistle stop recital tour of KZN will see him performing on Saturday June 16 @ 15h00 at Tatham art Gallery, Pietermaritzburg, on Sunday June 17 @ 15h00 ay St Agnes Church, Kloof, and June 18 @ 19h30 at the Durban Jewish Centre, Durban. Tickets (available at the door) R100 (Members) R120 (Non-Members). Winner of the UNISA International Piano Competition in 2004 Myer has since been a regular visitor to South Africa. Recent highlights include recitals in Wigmore Hall London. 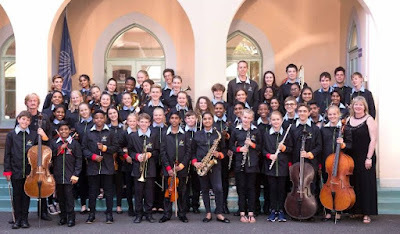 June is youth month and the KZN Youth Orchestra has a Sundowner Classics concert coming up on Friday June 15 at Mt Edgecombe country club in the Sandpiper room from 18j00 to 19h00. Well-known classical favourites include themes such as Ponchelli’s Dance of the Hours, Schubert’s’ Unfinished Symphony and The Anvil Chorus by Verdi. The popular orchestral items include such pieces as Take 5, movie music from Harry Potter and a fun version of Tequila. The orchestra comprises young musicians from all around KZN province. The organisers advise that the hour long concert will be played by the 40 piece ‘A’ orchestra but a couple of pieces will include their feeder Shadow orchestra members as well. The conductors are Lyk Temmingh and Cathy Peacock.